In Part 1 of our series, we explored how the food processing industry handles pest control. Hospitals and other health care facilities handle pest control a bit differently due to the nature of their business. Besides food processing plants, controlling pests in hospitals is perhaps of utmost importance to human life. Rodents in hospitals can spread bacteria, contaminate medical supplies, instruments, chew through wiring which can endanger patients who depend upon electricity to live, particularly if they are on life support, and rodents chewing through wiring increase the risk of fire dramatically. 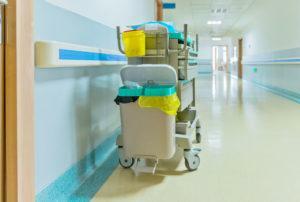 Hospitals must meet the highest standards of sanitation while caring for the most sensitive of patients including those with compromised immune systems, breathing problems, and allergies and reactions to chemicals. 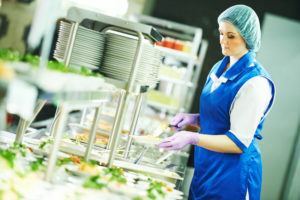 This means that hospitals and health care institutions must watch what they use in order to not trigger allergic reactions in patients and visitors, particularly children who are in closer proximity to the floor, while also protecting facility staff from toxic exposure. Vulnerable groups are of course children, which we have already mentioned, but also include pregnant women and fetuses, the elderly, cancer patients and survivors. With this special considerations in mind, healthcare facilities use IPM (Integrated Pest Management) as the industry standard, which is a very fine-tuned approach to pest management tailored to the healthcare environment which stresses using non-toxic pest control options such as exclusion, traps and enclosed bait stations while avoiding toxic spray pesticide use at all costs and only as a last resort. It is incredible the types of pests that can get into a facility,including rats, bedbugs, cockroaches, ladybugs, crickets, fleas, flies, pigeons, starlings and sparrows, as well as ants. There are many places in assisted living facilities where pests can hide, and the hottest spot of all can be the patient room. Many residents bring in their own clothes and furniture, which can serve as a vehicle for pest entry. Once present, pest pressures can build, especially since many patients don’t require around-the-clock care. Kitchens, receiving areas and even parking lots can usher in pest activity. containers, and spills should be cleaned up immediately. Environmental services (ES)professionals should make sure that employee break rooms are free of any crumbs or food left out in the open. ES professionals should be careful to check for spilled food or drinks in recycling bins — a favorite target for ants and roaches. outside. ES professionals should consider incorporating metal mesh to add extra protection against pests like rodents that gnaw and chew openings to gain entry. Weather stripping should be used around windows, and door sweeps should be installed on all entryways. Rats can squeezethrough a hole the size of a quarter, mice through a gap the size of a dime and crawling pests through spaces barely noticeable to the human eye. Other recommendations are to put automatic doors in high traffic areas in clinics and hospitals to keep rodents and other pests from sneaking in, and keeping outside trees and shrubbery trimmed. Bathrooms, storage areas, loading docks, waste disposal areas are also hotspots for pest infestation. Integrated pest management (IPM) is a more targeted approach to pest control that focuses on proactive, nonchemical pest management techniques before employing chemical treatments only as a last resort. IPM also is customizable to different facilities, taking into account geography, building conditions and even the time of the year. 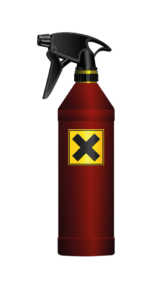 A tactic exists for each pest hot spot inside a health care facility to help guard it from pest pressures. IPM focuses on proactive strategies like exclusion, facility maintenance, stringent sanitation practices and ongoing inspections to keep pests away. If chemical treatments are needed, nonvolatile and the least-toxic formulations are used, and only in precision-targeted areas. As a result, IPM has become the recommended practice of the Association for the Healthcare Environment, Health Care Without Harmand Practice Greenhealth. What is different about this approach as compared to pest management in food processing industry is the emphasis on a pesticide free approach for the protection of people with allergies and patients with sensitive conditions that pesticides would aggravate. 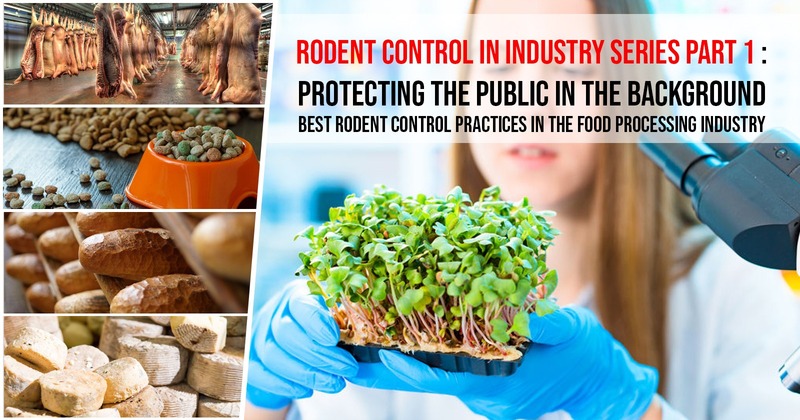 A variety of integrated strategies are at play here that are similar to control procedures in the food processing industry—targeting infestations in order to effectively eradicate the rodents without wasting supplies, time and attracting more with bait stations, exclusion practices, and ongoing inspections. 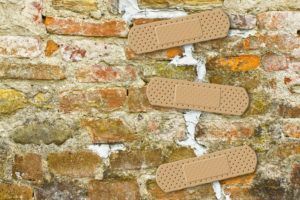 The Institute on Disability and Community at Indiana University uses a team centered approach IPM, designating a go-between to handle pest control between the health care facility and the pest control company. 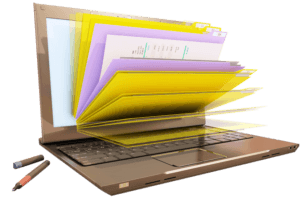 Their pest control policy also has a targeted list which includes regular inspections, and after exhausting all non-pesticide options, to use the least harmful pesticide possible. Orkin has an interesting 3 video series on how to implement IPM in three steps. 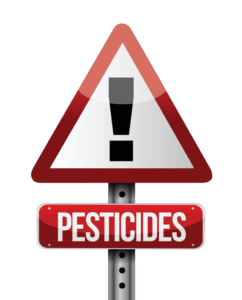 According to Penn State Extension, the health effects of pesticides are calculated with the hazard equaling toxicity x exposure. The longer the exposure to a particular pesticide, the higher the toxicity. Thus, the proper PPE is required for the following reason, and applicators are the best way to apply targeted doses of pesticides. Applicators may have little or no control over the availability of low-toxicity products or the toxicity of specific formulated products. However, applicators can minimize or nearly eliminate exposure—and thus reduce hazard—by following the label instructions, using personal protective clothing and equipment (PPE), and handling the pesticide properly. For example, more than 95 percent of all pesticide exposures come from dermal exposure, primarily to the hands and forearms. By wearing a pair of unlined, chemical-resistant gloves, this type of exposure can be nearly eliminated. Different classes or families of chemicals cause different types of symptoms. Individuals also vary in their sensitivity to different levels of these chemicals. Some people may show no reaction to an exposure that may cause severe illness in others. Because of potential health concerns, pesticide users and handlers must recognize the common signs and symptoms of pesticide poisoning. The effects, or symptoms, of pesticide poisoning can be broadly defined as either topical or systemic. Topical effects generally develop at the site of pesticide contact and are a result of either the pesticide’s irritant properties (either the active and/or inert ingredient) or an allergic response by the victim. Dermatitis, or inflammation of the skin, is accepted as the most commonly reported topical effect associated with pesticide exposure. Symptoms of dermatitis range from reddening of the skin to rashes and/or blisters. Liaison regularly with pest control professionals who can assess risks and adapt IPM for that particular healthcare facility’s needs. In this article we have explored the particular process that healthcare institutions have to use in order to implement the most effective pest control procedures while protecting patient health, keeping an eye on patient sensitivity and toxicity management to provide the most toxic free and healthy indoor and outdoor environments while managing geographical topographical considerations to prevent infestations by a variety of pests including rodents. Green pest control strategies are the most preferred, with toxic methods being the absolute last resort in Integrated Pest Management implementation. IPM strategies can prevent and contain the spread of E.Coli, Staph infections, Salmonella, Leptospirosis, Hantavirus, Typhus, and SARS among a host of other diseases and bacterial infection agents within the healthcare environment. We are here to help! Our industrial strength galvanized steel traps are of the finest quality and designed to last for years of use.When set properly and placed inside specially designed containment boxes (wood and cage), that prevents the risk of injury due to human and non-target animal interference, you can be certain that you have included an effective weapon in your healthcare IPM plan. Contact us ! We’d love to be a part of your pest control management team! Come consult with us at PestWorld 2018 on October 23, 2018 in Orlando, Florida! 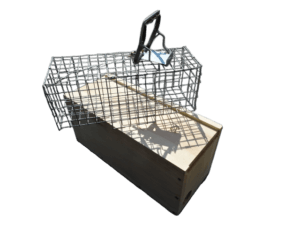 Booth 733 We will be pleased to Listen, discuss how our traps can fit in to your industrial rat/rodent control plan.